– For larger baits, weaving a single hook through it will generally curl up your trace. Furthermore, if you are using a relatively softer bait like pilchards, it will more likely break up if you weave through it. 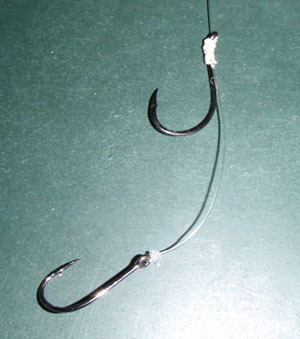 -Adding a second hook also increases the chance of a hook up. It also enhances the stability and presentation of the bait, an essential for the more finicky fish like jewfish.